Welcome to Neighborhoods of GR, an informal series for Grand Rapidians, its visitors, and those considering calling the river city home. Each article in the series will covering a particular GR neighborhood will be covered by a resident writer, and showcase the charm, the history, and diversity of our fair city. Diverse. Hipster haven. Former streetcar through fair. 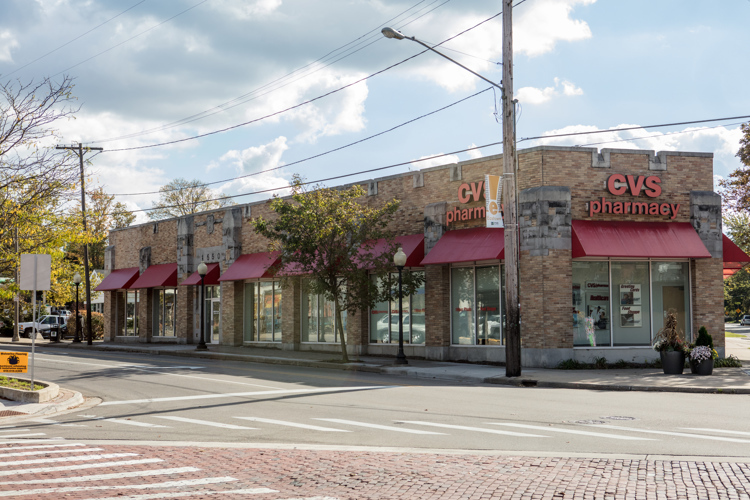 Eastown, as one of the oldest established neighborhoods in GR, is an ever-evolving, tight knit community with a rich history explored in this edition of Neighborhoods of GR. Diverse. Hipster haven. Former streetcar thoroughfare. A lot of terms come to mind when considering Eastown, the often deemed liberal haven of an otherwise conservative Grand Rapids. It's old, it's new, it's crusty, and it's shiny all at the same time. Here, among relatively quiet streets, millennial homeowners are restoring century old houses, taking a break every now and then to sip a craft brew on their porches with neighbors who have lived here for generations. Meanwhile, college students from Aquinas, GRCC and GVSU take advantage of their rental homes' close proximity to restaurants and coffee shops. But let's not forget the history. 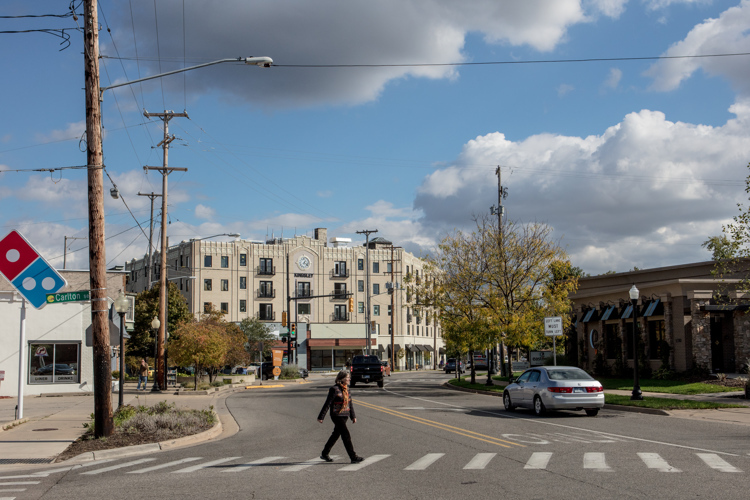 Eastown, as one of the oldest established neighborhoods in GR, has a long and complex one that is still told by current residents—proud, diverse Grand Rapidians who are heavily involved in their communities. So how do we best describe Eastown? We could begin by dissecting flaking lead paint in one of hundreds of houses, attending the annual Streetfair or Bizarre Bizaar, or by digging through archives like the Yesterdog documentary. But, as Rapid Growth has often found, usually the best place to start is with the people. "I think its an up-and-coming neighborhood," says Linda Likely. Likely, a friendly, retired Eastown resident in her early sixties, is my neighbor. With immaculate landscaping—including impeccable chrysanthemums just in time for autumn—and an approachable smile, she has welcomed my family to the neighborhood since we moved two years ago. Likely invited me into her recently refinished three-season porch, and began to tell the story of the last 37 years during which she called Eastown home. She notes that her and her husband, Jean, purchased their house when their eldest daughter was just a baby, and were attracted to the neighborhood for its diversity, safety, and walkability. Though primarily white (the neighborhood was first inhabited by mainly white doctors, lawyers and professionals in the first half of the century) Eastown has a fairly large and tight-knit African American population. According to "Eastown: A Brief Overview and Information Sheet on Eastown and a suggested walking tour," published by Calvin College, "In 1960 .3% percent [sic] of Eastown’s population was African-American; in 1970 that figure rose to 25%. That dramatic shift was made possible by the Civil Rights acts of 1964 and 1968, which ended discriminatory home mortgage lending practices sponsored by the FHA." Editor's note: My own home was purchased by an African-American father in 1966, a man who was known for his legendary kindness, skill working with his hands, and meticulous green thumb. The African-American population continued to make up a quarter of the residents in the neighborhood until 2010, when it dipped below 24%, and most recent in 2013, when it decreased to 14.9 percent. Meanwhile, the Hispanic population has increased from 3 percent in 2000 to 8.7 percent in 2013. In addition to its diversity, Likely notes, "I like the character of older homes," Likely, with a home built in the early part of the century, is at home in Eastown (99.6% of homes in the neighborhood were built before 1978, compared with an average of 92.1% city average). Likely also chose the neighborhood for its safety. "Eastown is one of the safer neighborhoods in the city," says Eastown Community Association Executive Director Don Lee. In 2012, Eastown experienced an average of 86.7 per 1,000 people, compared with 114.1 for the entire city average. It was this expressed desire for safety that inspired former Aquinas College President Norbert Hruby to make steps toward community cooperation and safety improvements in the early 1970s. 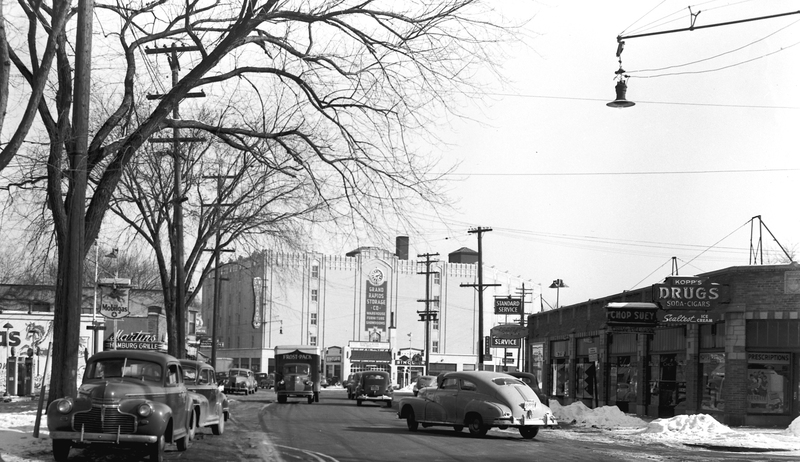 Before that period, "Eastown as a neighborhood existed, but it didn't have any organization," says Ric Underhile, PhD., Director of Foundation Communications and Grants Management at Aquinas. Underhile, who recently completed a two-part lecture series on the history of Eastown for the Osher Lifelong Learning Institute (OLLI) at the college, sought to explore and reaffirm Aquinas' integral part of the community through the presentation. In his research, he utilized a book published in 1978 entitled "Eastown! : A report on how Aquinas College helped its local community reverse neighborhood transition and deterioration," that detailed the historic collaboration between the college and its community members. In 1972, a neighborhood study committee formed to conduct a year-long research effort on the tasks necessary to revitalize the neighborhood. After presenting their findings to city leaders, they applied for and were granted a W.K. Kellogg grant for $150,000 (roughly $650,000 today), that funded what we now know as the Eastown Community Association. 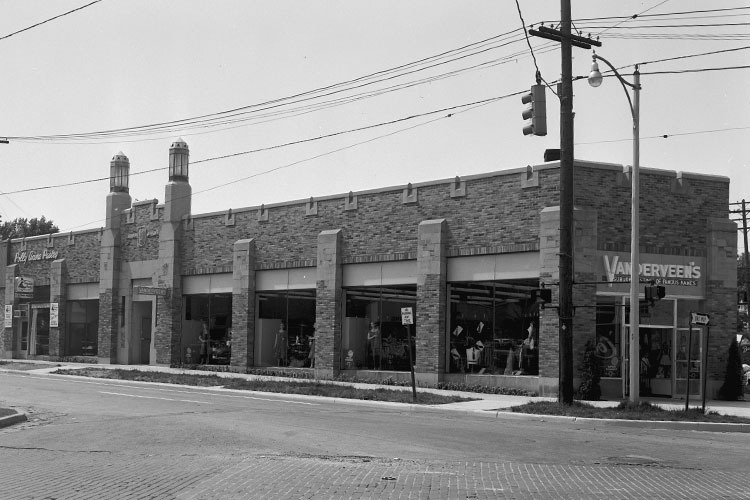 With three goals: to create a college/community liaison that would build a "stronger, sturdier bridge between the college and the community," to create a neighborhood organization with a community office, and to create infrastructure at the college to further support the neighborhood, the ECA/Aquinas partnership was born. Though some of this history has been lost, notes Underhile, he, along with Lee, aim to revitalize this partnership through close collaboration, tackling neighborhood issues together, placing students in ECA internships, and working to fund Eastown causes. "We're all in this together. It's not happenstance that we're here. We're integral to Eastown and we care about that," says Underhile. As Aquinas and others worked to reinvigorate the neighborhood and homeowners like Likely stayed put, crime soon dissipated and a resurgence in urban living for young adults and professionals has enticed home buyers, landlords, and renters to return. In fact, Eastown has quickly become a highly desirable neighborhood, with median home prices rising 13% year-over-year, according to trullia.com, and the 49506 zip code falling on lists like the "Hottest Hipster Markets in America." The increase in home ownership and decline in vacant properties has fueled Eastown's business corridor, as well. "A lot of it started 20 years ago," says Christopher McDonald, President of the Eastown Business Association and cofounder of Terra. He gives credit to some of the businesses that made their name in the resurgence of the neighborhood, like Wolfgang's, Smitty's, and McKendree Jewelers. 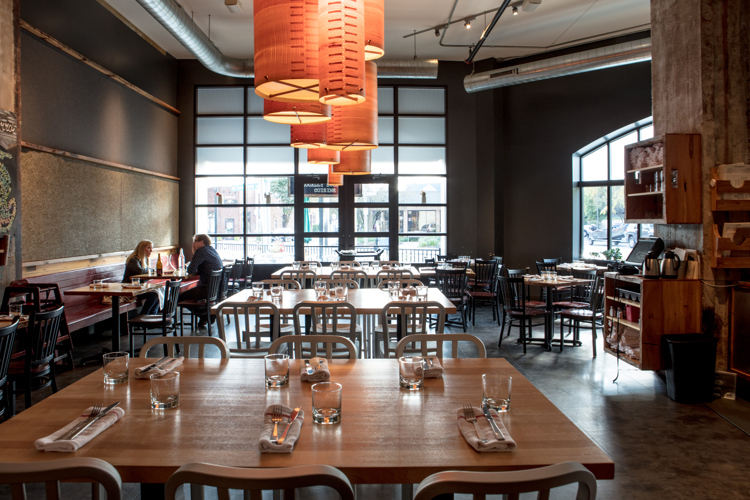 Opening Terra (originally named Trillium Haven) at what McDonald calls "the late end" of the resurgence, McDonald and his partners targeted the then-mostly empty Kingsley building for their farm-to-table restaurant. "[It's a] transformative building, it was six floors of really nothing for years and years," says McDonald, after Zondervan vacated the building almost a decade ago. Since Terra took over their corner of the Kingsley building, the structure has achieved historic status, and undergone a massive, $10.7 million renovation by Bazzani Associates that includes brand new apartment buildings ranging from one bed, one bath units priced at $1,076/month to two bed, two bath units at $2,248. This addition is housing will assist in meeting the need of the increased population of the neighborhood. "The density in the area has definitely gone up," says McDonald. However, college students are likely to consider a more affordable option in one of Eastown's old houses, where the median monthly rent for al property is $1,650, and roommates can easily find a five-bedroom house for this price. According to McDonald, "there needs to be a wide spectrum of housing and businesses as well," and this diversity—in everything from housing to retail to public spaces—is one of Eastown's most notable strengths. "We don't want to see a business district that's full of high end businesses because that wouldn't necessarily serve the community that we're in," adds McDonald. And though "we are always encouraging development, he says, "we're encouraging local development, local dollars." Serving as the Eastown Business Association (EBA) president since 2013, McDonald has worked with the board to maintain the local feel, encouraging the growth of local businesses and initiatives that support that promote the growth and better the experiences in the corridor—initiatives like the recent addition of a clearly marked pedestrian walkway at on Lake Dr. between Atlas Ave. and Genessee St. SE. 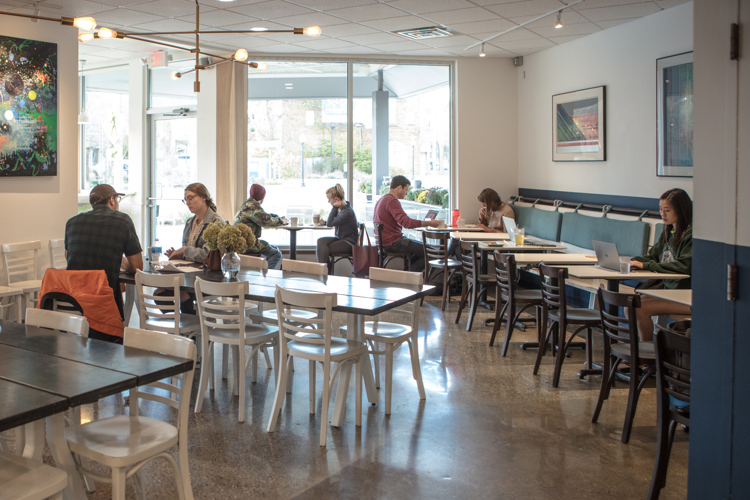 This easy walkability is one of Eastown's other most notable traits, encouraging pedestrians to engage in strolling coffee dates, window shopping, and lazy, all-day brunches at standby's like Wolfgang's or newcomers like Matchbox. According to aforementioned walking tour published by Calvin College, "Eastown is a typical pre-war streetcar suburb. Roughly one square mile in area…It exhibits the structure of a classic walkable, mixed-use neighborhood. From the center, the transit stop at Lake and Wealthy, it is no more than a 5-10 minute walk to its edge." 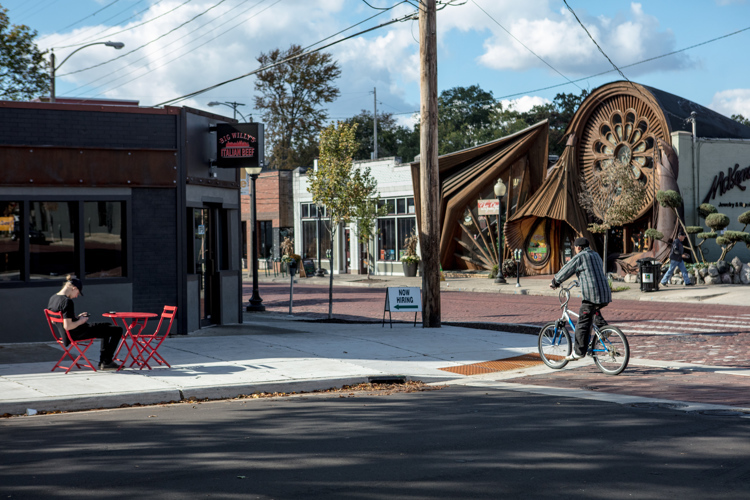 While many neighborhoods struggle to increase walkability, Eastown was built for it, since Wealthy was built to simply withstand streetcars, instead of lanes of automobile traffic. Still, EBA and ECA board members work to maintain and improve pedestrian safety as businesses and events draw more visitors and residents each year. "We're happy, [but] we're not done yet," says McDonald. In the mean time, the neighborhood continues to welcome parents, second, third, or fourth generation families, students, singles, and anyone seeking the diverse, characteristically chilled-out atmosphere that Eastown has become known for. So come, take a walk with us. Grab a cup of coffee, stand in line for brunch, take a yoga class, or visit our community association. 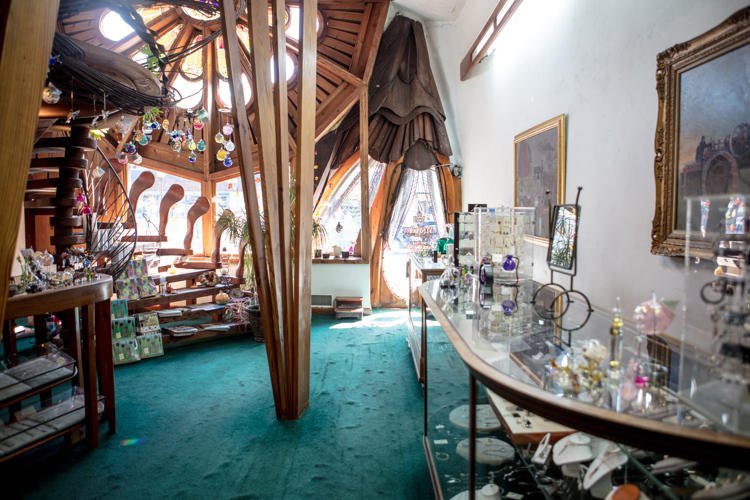 Because in Eastown, there are infinite possibilities, and always a little bit of history and culture to take in. Unless otherwise noted, statistics for this piece were collected from the Johnson Center Community Research Institute at Grand Valley State University. Historical Photo Credit: Grand Rapids History & Special Collections, Archives, Grand Rapids Public Library, Grand Rapids, MI.